What makes a carp angler give up the comforts of normal carp fishing? and by normal I mean the local day ticket or syndicate ticket. The type of fishery that 99% of anglers spend their weekends and free time. A 'manufactured ' fishery complete with comfortable swims, gravel pathways, porta loos etc. Where undergrowth has been cut back to allow access for the euro dome and every overhanging branch has been cut away for easy trouble free casting. The answer is simple....the thrill of the unknown, something sadly missing from todays manufactured fisheries where every carp has a name, its age , weight and shoe size well documented. Not that guesting is something new, far from it. History taught us about our forefathers Richard Walker and co and their love of the unknown and decades later that legend Sir Rod Hutchinson wrote the first chapter on guesting in his best selling book The Carp Strikes Back! I suppose Colne Mere is the most famous venue to be poached in recent years. Once the Black Mirror was found an endless stream of famous anglers could not resist its charms. Acclaimed as the most beautiful carp in the UK its hardly surprising. But be careful when considering a secret venue. There is a gentleman's etiquette to adhere to. Poaching waters where carp fishing is allowed is strictly disallowed. Also, there is a big difference between sneaking onto a secret pool in dead of night, exiting before dawn, taking only memories and leaving only the odd foot print and making a nuisance of your self trespassing through someone's back garden. So consider your actions with respect for your surroundings before carrying out any covert operation's on undisclosed pools. We carp anglers are very passionate about our sport and will go to great lengths, both in time and money to catch our beloved quarry. Its no surprise then that there are anglers like Lee who will go that extra mile in search of the ultimate carp. Just look at the Nature Reserve Leviathan on the cover of this book. Who amongst you could resist dangling a delicious bait in front of this creature with the chance of holding it in your arms, not many I'm sure. 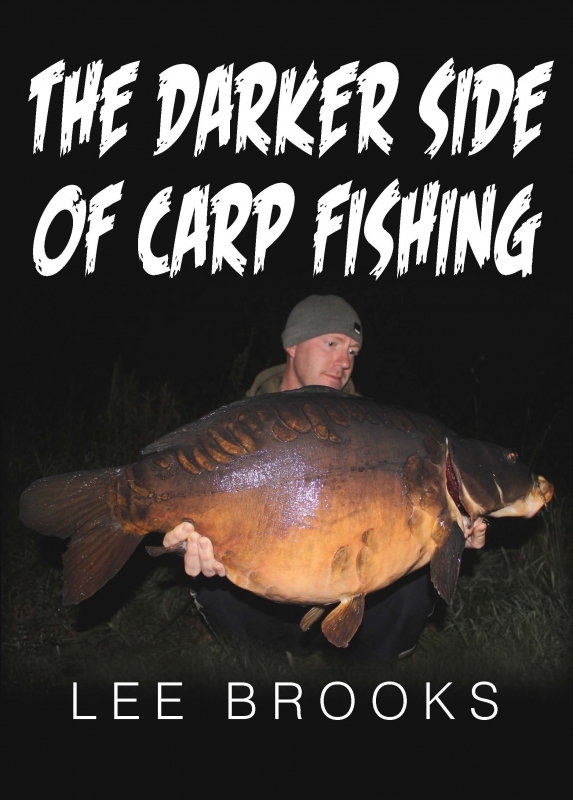 Lee's book is the story of a dedicated and passionate angler , where extreme effort has been rewarded with some incredible fish. Whether they have been caught from the mighty Lac Cassien in France or from small intricate venues in the Trent Valley. Lee's love of the unknown has driven him forward, alone to venues well off the beaten track. We are so fortunate he has decided to share these secrets with us all along with his amazing collection of pictures.